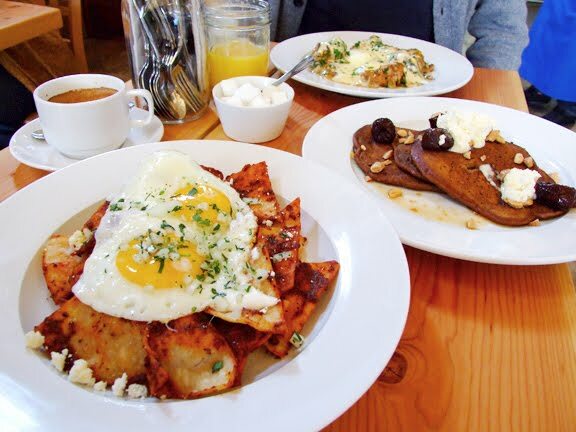 A perfect brunch is the quickest way to my heart. Despite my intense love for Los Angeles, there has always been a fallow pocket in said heart awaiting its unrequited. 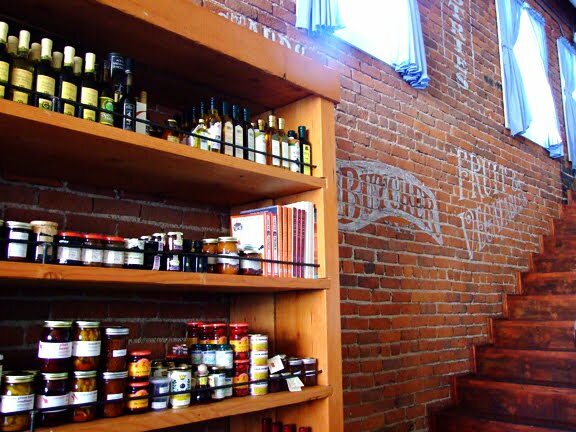 Many have come close, but after living in Portland where brunch is quite literally sanctified, I will be the first to admit how high my standards are. 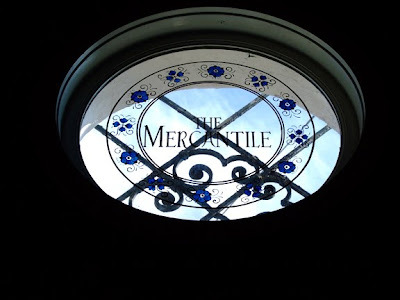 Enter the modest and saintly Mercantile. 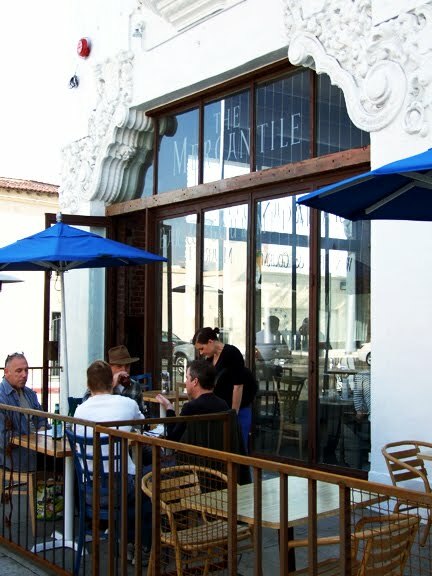 Quietly it entered the scene some months ago tucked in an offbeat stretch of Sunset not used to the weekend brunch crowd. Which immediately made me like it. 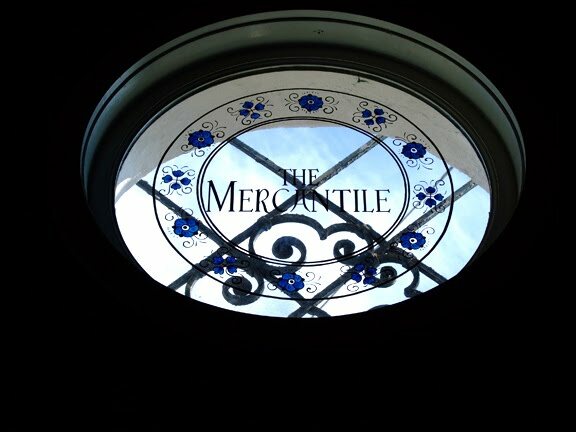 Still rarely overcrowded, Mercantile offers an extremely level-headed, approachable, and knowledgeable staff, a casual no-frills setting, yet incredibly high end food. It is something this city has been begging for, and I'm praying it continues to deliver. 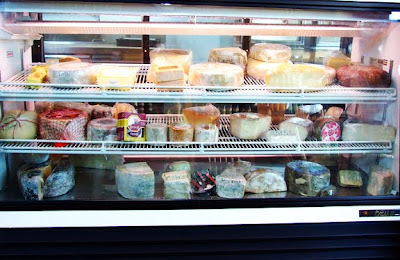 Serving double as a marketplace, Mercantile has a stocked cheese case, shelves of condiments, affordable hard-to-find house-packed spices, Dolin Vermouth (the best), imported oils and vinegars, and a sinful display of daily homemade doughnuts, 'oreos', canneles, other breakfast goodies and gorgeous desserts. Once seated in the main market space, lofted dining room, patio or bar, a clipboard displays their brunch menu and all its country comfort glory. If it's a hair of the dog morning, Mercantile makes a mean housemade bloody mary served in a frosty mason jar. Of course there's always a mimosa, but for a twist try their French 75, gin blended with lemon, lime, and orange zest, a splash of juice from each, and topped with sparkling wine. My first bite at Mercantile was the Chilaquiles (always a defining breakfast dish), theirs made with a pumpkin seed chile sauce, topped with cotija and a sunny side up eggs. A robust, crispy take on the dish, perfectly cooked eggs bolstering a thumbs up. 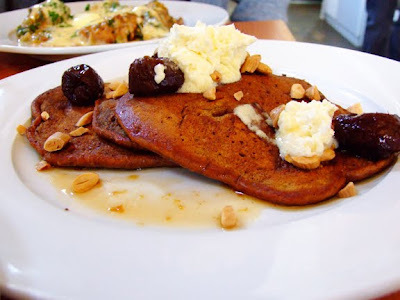 To share at the table, the Ginger Snap Pancakes with vanilla soaked prunes, mascarpone & almonds. What sounds saccharine is actually quite spicy and refined, a trace of syrup on the plate the only truly sweet component. 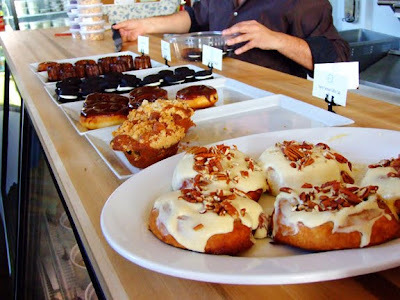 Recommended for those tempted by breakfast's sweet side, but easily overwhelmed by sugar. 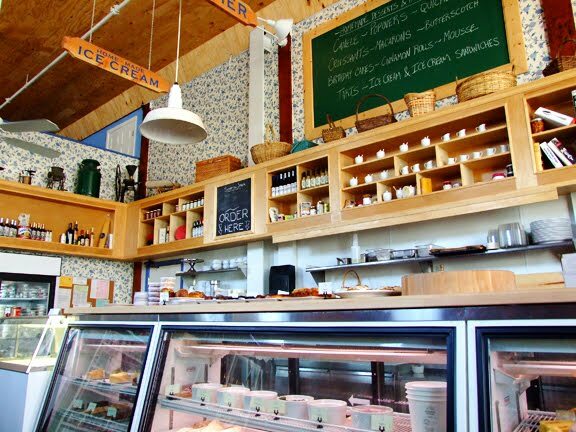 The winner of the first visit was the genius Southern Benedict, poached eggs atop corn meal cakes, a hearty crab-tasso ham ragout, mustard greens, and a purely evil Tabasco hollandaise! 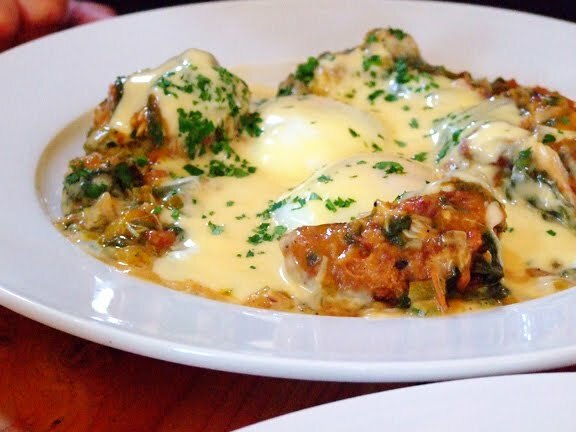 Spicy, crabby and decadent.. a veritable Louisiana hangover helper. Other winners I've had since (oh yes, I've been back) include the Duck Confit Hash with sunny-side up egg, sweet potato, wild arugula, candied black walnut, caramelized onion and mustard. But my favorite dish to date is the Maple Glazed Pork Belly. Quite the "it" dish lately, this pork belly stands apart as probably the best I've ever had, tender and smoky with a kiss of woody sweetness, served over white grits, topped with scallions, and sunny side up egg, and drizzled with a fine maple reduction. Magnifique! 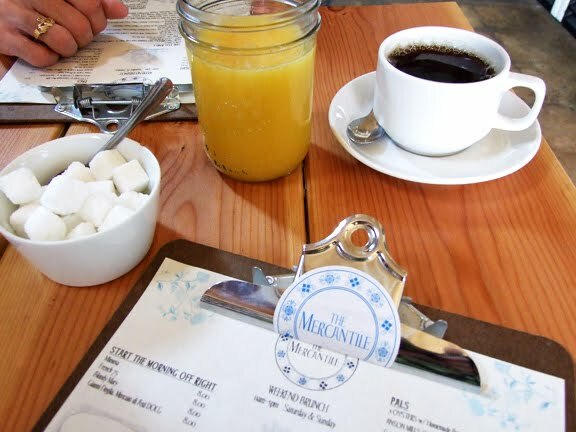 Do yourself a favor this weekend and enter Mercantile's warm embrace. 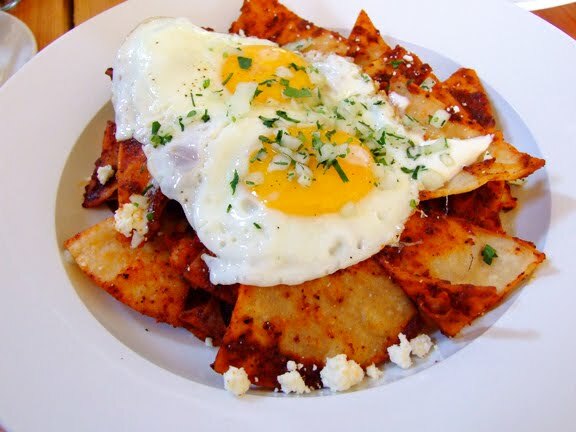 Wow, chilaquiles is my weakness...that looks amazing.